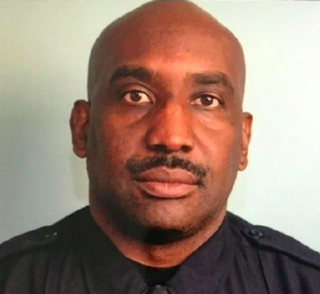 One Alabama cop is getting recognition since his good deed at a grocery store went viral, AL.com reports. Hueytown Police Cpl. Sebastian Goldman was at a Food Giant grocery store purchasing food for the jail inmates, the news station reports. One store employee, a 19-year-old man, was helping the officer load the groceries into his car Tuesday amid torrential weather. That was when Goldman noticed the teen's shoes, which were wrapped in duct tape. "I looked at him and said, 'What's up with duct tape?' '' Goldman told AL.com. " 'Is that something all the kids are doing? A fashion statement?' "
Turns out the young man was just unlucky and had split his shoes; he was waiting to get paid so that he could replace the busted pair. Given the weather and what he had heard, Goldman wasn't having it. He casually asked the teen his shoe size, before thanking him for his help and driving away. However, the officer wasn't done yet. After dropping off the groceries for the inmates, Goldman picked up a pair of size 12 1/2 shoes and went back to the grocery store to gift them to the young man. "I didn't know if he had to walk home in the rain or what,'' Goldman said. "I said, 'Man, here you go. I didn't know payday was Friday or two weeks from now,' '' Goldman continued. "He said, 'What do I owe you?' and I told him to just pay it forward." Goldman really wasn't looking for attention with his actions, but one shopper, touched by the exchange, snapped a photo and shared it on Facebook. "Everyone at Giant this morning was in tears when he brought them to the young man!!!! Way to go Office Goldman!!!!" Angela Roach Scory captioned her Facebook post showing the young man's tattered shoes. The photo has been shared over 400 times, bringing attention Goldman's way. "I hope people take from it that the police aren't really bad," Goldman said. "We've been getting such a bad rap in the news. We're human beings with families and kids and loved ones."